Figured I'd share my experience with this kit. It is sold directly by Mopar (and most online or brick and mortar dealers are able to order it) and it is the Bilstein shocks with Mopar lowering springs. The kit comes with 95% of the items you need, with the only thing being reused is the front shock mounts and dust boot. I ordered these new just so every piece going in was a 0-mile item. 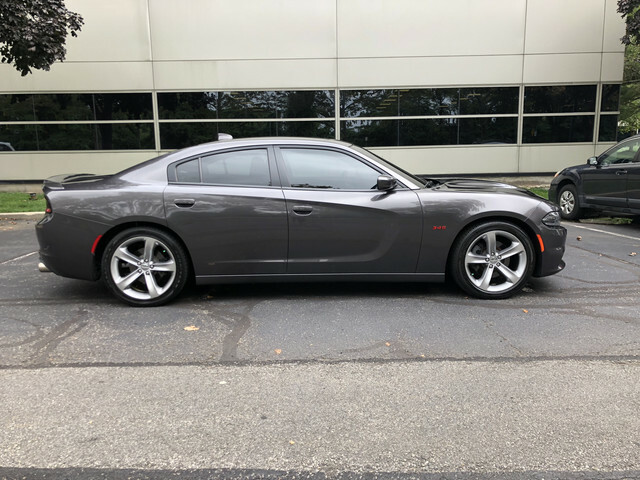 The whole thing goes for the low $600s, but Summit can price match you with an online Mopar dealer. I had them price match East Coast Moparts as they had it for $513. They also offered free shipping, which was a plus. 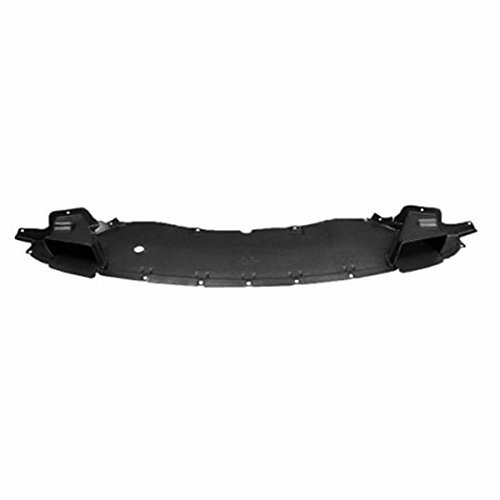 This kit should fit any 2006 and up Dodge Charger/Challenger/300 in V6 and R/T trims, but please note that earlier models may need some adjusting or work for proper fitment and drop height. The drop height is slightly more on the V6 models over the stock R/T height. My 2016 R/T went down just over 1" all around over stock. If you need the part numbers for the boot and upper mounts, please let me know. I have them in my email. The cost of installing can vary widely. It is about a 2 to 3 hours job, so a dealer may charge upwards of $400 to do this. I had a local shop do the whole thing for $200 wheels up to wheels down. It was another $50 to have the car aligned. While I won't dive into the installation process too much, it's all pretty straight forward. The rear involves removing the 2 bolts at the top of the strut as well as one on the bottom connecting to the control arm. It can then be pushed down and slid out. For the rear springs, the instructions state to drop the rear cradle. However, we simply removed the bolt connecting the control arm to the cradle and dropped it enough to get the spring out. Then, it was just going back in the steps and tightening it all up. For the front, you remove the 3 bolts on the shock mount (under the hood) and one on the bottom of the shock connecting to the control arm. If you're lucky, you can wiggle the assembly out and the new one in. In most cases, however, you will have to unbolt the upper control arm and separate it in order to drop the suspension low enough to get the assembly out. Other than that, reverse the steps and tighten everything to spec. Once the suspension settled, the alignment wasn't all that far off. I had purchased a pair of SPC adjustable upper control arms (for the front) in case the steering was off wack. However, these will be going back to Summit as the front was just marginally off from what it originally was. It took 2 minutes for my alignment guy to get the front and rear back to spec. Please note that the rear of my car already had SPC bushings for adjusting camber, so the rear may or may not be good to go and you may or may not need those bushings to get it where it should be. While I don't have any before pictures, as the excitement of getting it all in got the best of me, I can show you the after. After these pictures were taken, it settled just a bit more, maybe about 1/8" or so from what you see here. The car sits much more flush to the wheels and the wheel gap is pretty much gone. I can no longer see the upper parts of my suspension from just looking at the car from the side. It is a night and day difference over the stock "Sport" R/T suspension. I'd imagine that this would be an even bigger change for V6 suspension. The car has lost tons of body roll, on the corners it remains flat, and the steering feels more responsive. There is a tight S turn here in my area that I used to take at about 60MPH with some light tire squeal and I was able to take it at 74MPH after the new suspension with no tire noise and without pushing the car too hard. Also, launching it from a dig feels more planted, the rear seems to stick more, and it doesn't feel as squiggly as it did before. On the highway, it is smooth as butter. While you do feel bumps and road damage a bit more, it is a marginal difference and I feel I like the quick bump over road imperfections over the bump and subsequent wobble and bounce my old suspension had. At higher speeds, the car feels planted and stable and switching lanes abruptly it's flat and precise. Previously, any sudden lane changes came with tons of body roll and the feeling of being unstable. All in all, for well under $1,000 installed and aligned, I'd say it's well-worth it. While I know that coilovers would net better performance, I didn't want to meddle with adjusting things and any alignment issues I may face. These feel more forgiving in city driving and I'm not worried about bottoming out the car in any driveways or rough roads, even with my long tube headers. Feel free to ask any questions. I'll answer them as best I can! Last edited by neuroticdave; 09-17-2018 at 05:13 PM. 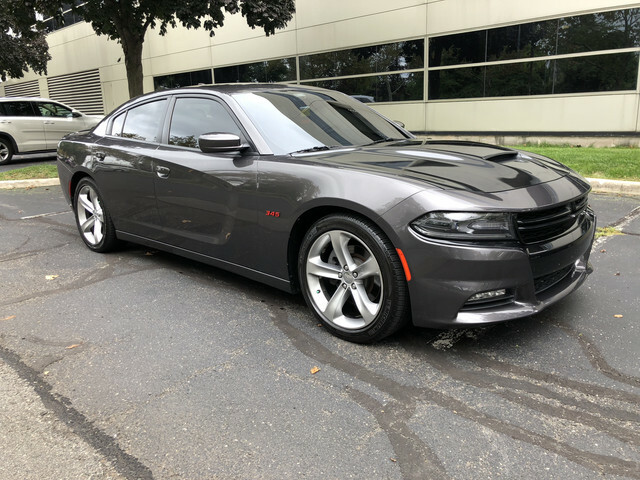 New: 16 Charger R/T w/ goodies on the way! I wanted to revisit this....have you had any issues with your long tube headers? I installed the similar kit on my ‘14 RT (B12 Bilstein Kit, basically the same thing...same shocks with Eibach Pro springs, same drop). I was thinking of dropping the long tubes on, but was super afraid of scraping those things up. This is on my list for early next year. I hate the wheel gap on my RT. It rides smooth but a lot of body roll. It feels like the boat it is. Question, what parts are needed for the camber adjustments? F & R? Plug and play, no caster or camber adjustment front or rear on these cars (with factory parts), only front toe is adjustable unless you install aftermarket adjustable parts. I just placed an order for this kit through Summit - they price matched a deal I found online for $487. neuroticdave - can you send me the part numbers you used for the mount and boot? 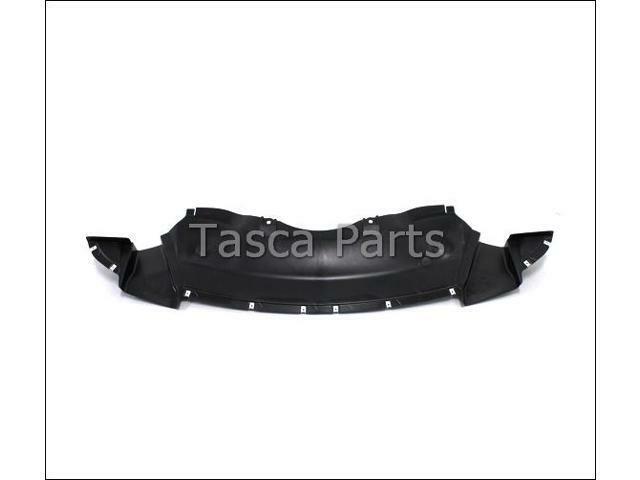 I want to assemble the fronts before ripping apart the car, and would rather spend the extra few dollars for new parts. 487? I thought I got a deal at 522.... oh well. Mine will be in next week. I love to know how the OP got $200 install rates... Everyone place I have been to wants $400+ & that's without the alignment. $400 seems pretty high without alignment. Shop here charges around $300 plus alignment. It really isn’t too difficult to do yourself if you have the right tools/equipment and are knowledgeable when it come to safely compressing springs. Keyword being safely. Side note - I received this kit in the mail yesterday. It looks like they included 2 sets of bump stops - one shorter set and one longer. Initially I thought one set was for the rears, but then I noticed the rear bellows have the bump stops built in already. Once I have some time to assemble them I should be able to see which ones I should use. UPDATE: Alignment check..left caster is out by .7 right is out by 1,Camber: left is at max of -1.5. Right is just out at -1.6. I'm looking at some minor inner tire wear. Last edited by JTSRT8; 12-21-2018 at 11:37 AM. The rear comes with the boot, the front I swapped over from my old suspension. If your car is low mileage and the boot is in good condition then you'll save yourself a few bucks. The car sits surprisingly higher than it looks. I don't scrape on driveways or over speed bumps. I've also hit a fairly nasty pothole or two and had no issues. My long tubes are, at their lowest, right where the engine cradle bottoms out. So even if the car dropped low enough to scrape, the engine cradle/belly pan would or SHOULD take the hit first. But again, I've yet to encounter any issues where the car has even been close to bottoming out or scraping anything. If you want to be dialed in 100% then you're looking at new front adjustable upper control arms and new adjustable rear upper control arms. IIRC, the front uppers were like $298 and the rear upper were another $175. However, as I sit right now, I'm pretty good. It's been months now and the car has certainly settled and my alignment guy said that while I'm not spot on with camber, it's so minimal I won't notice a difference and tire wear would be low. I'm gonna spring for the adjustable stuff come April though because I do want to take the car on a road course and push it. That install rate was because the mechanic is a long-time friend of mine. He did the install in about 2 hours. It would've been less but the rear springs gave us a hard time. An alignment was $80 more (including a $30 tip). But on average I'd say it's $275-375 to install. Not all that hard to do. Also almost a week later, maybe 1 day shy, i added the Petty's Garage swaybar set. turns out the rear sways on the Road & track models are already 22mm... however, they feel kinda light. so it may be a 22mm hollow bar. i can say the petty's offerings were stout and had some weight to em. So they are def an upgrade by far. currently have em set on soft as instructions state. but once i upgrade the links to something a bit more stout, i'll move em to middle, and adjust front and rear from there. I have quite a few more pics, but the site isn't letting me link em to my website to be shown on page, and it only let me do 2 pics attached... will try and figure something out by the weekend. btw, are the different forums still at each other necks about linking to other forums??? Last edited by PolynesianPwrhouse; 02-21-2019 at 10:13 PM.